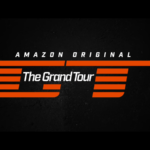 Read nextMissed the first episode of The Grand Tour? I drive a Ford Figo. I’m far from the target market for a city SUV. Why chug around in an oversized monstrosity when a cheap hatchback can fit in small places? Clearly I’m not quite the demographic Ford is hoping to attract with its Ecosport Titanium then. Still, I’d be lying if I said I wasn’t intrigued by the prospect of driving a 1L turbocharged car. 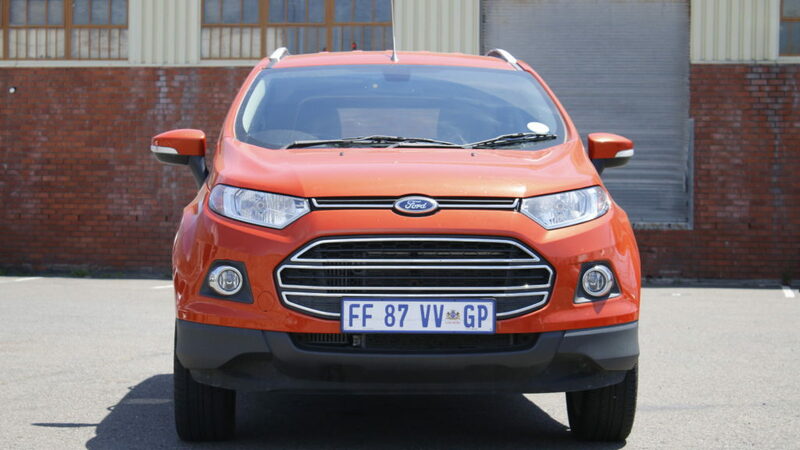 So then, for starters, the Ecosport is a rather attractive package at first glance. Well, for an SUV. Coming in a “Mars Red” colour that sort of grew on me, the vehicle feels like a cross between a 4X4 and a traditional Ford hatchback. Of course, it’s basically using a hatchback chassis. The car, while definitely feeling bigger than my Figo, isn’t much bigger owing to the aforementioned chassis choice. But it’s just big enough to feel unsuitable for CBD driving. Whether it’s the seat height or actual size of the car, I found that parking and taking tight corners was a rather tentative experience. Of course, the four parking sensors at the back help in a big way, so there’s that. 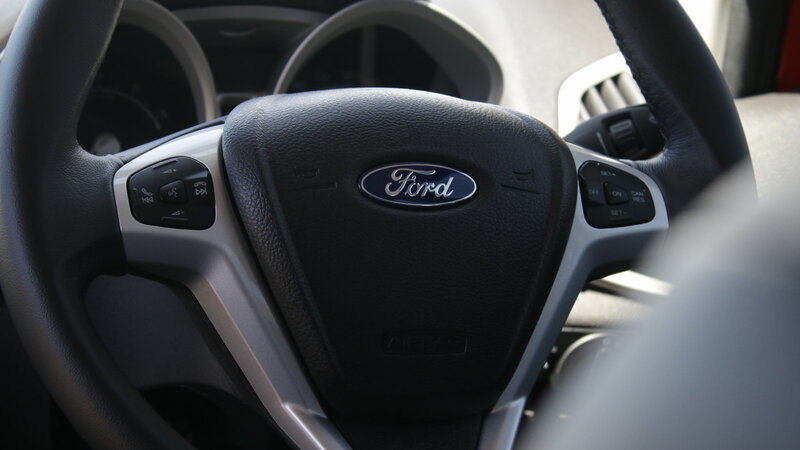 Another minor help was the fact that the Ecosport’s steering dynamically adjusts to situations. So steering feels heavy when on the freeway and light when sitting in traffic. It really makes for a pleasant experience and a feature I want on other cars. Otherwise, you’ve got an inoffensive crossover SUV/sub-compact type of look here. So that means spare tyre on the back, a solid amount of clearance and of course, little storage spaces everywhere. There’s even a drawer of sorts under the front passenger seat. “One litre? !” tends to be the refrain when I tell people the car has a one litre turbocharged engine. But it certainly feels like a turbocharged car. And it feels like a one litre car too. What I mean to say is that the car is a vehicle of two halves. Put your foot down and the car chews up the road easily, making itself at home on long stretches of highway. When it comes to the end-of-day commute home, the Ecosport is a juddery beast. I found that in low gears and at low RPM, the car would be jerky at best, often pulling away slowly. Even without traffic, I find pulling away to be a coin toss between tyre screeching and chugginess. 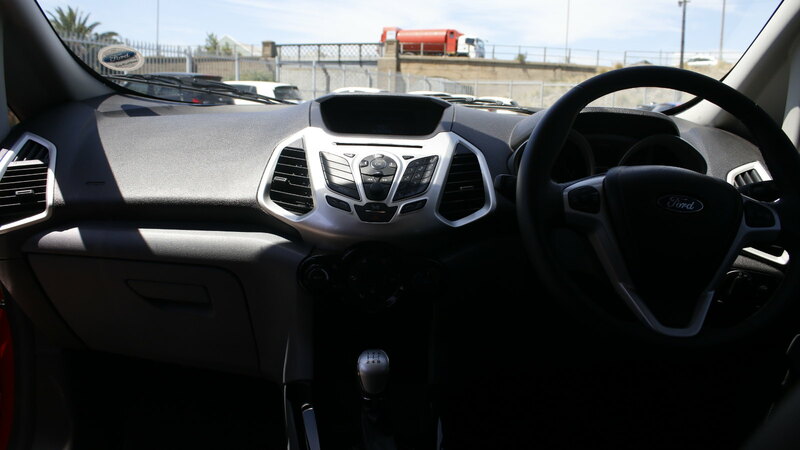 Nevertheless, as you climb up the gears and increase the RPM, the Ecosport gladly obliges. The turbo lag is real here, no doubt compounded by the one litre engine. Still, the Ecosport lives up to its eco trappings, sipping fuel rather than gulping it down during our brief time with the vehicle. We got a full tank in our test drive model, using it for a week of daily Southern Suburbs-Woodstock commutes (a distance of about 10 kilometres), visiting the city centre several times, making a turn at the Waterfront and taking a trip to Kirstenbosch from Woodstock. We still had just over half the tank left when it came time to give the keys away, making it feel more like my trusty hatchback than a city SUV. 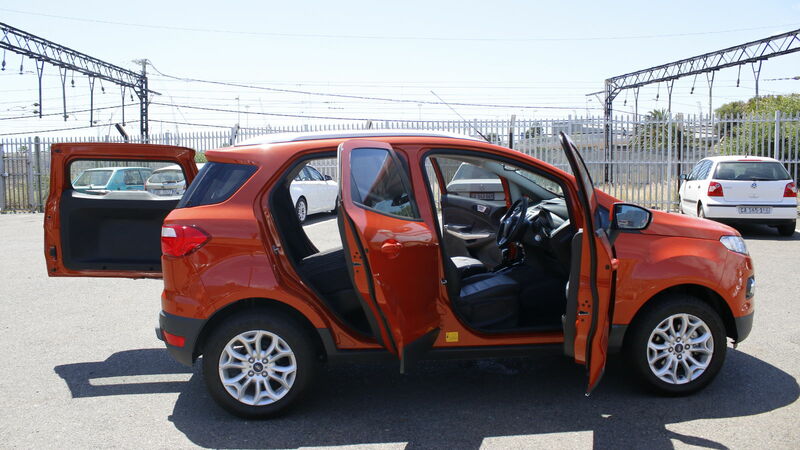 Aside from the jerky handling in traffic, the Ecosport makes for a relatively quiet and mostly stable ride. It’s not going to dampen every single bump on the road (not by a long shot), perhaps a clue to its origins. I’ve never used the Ford Sync software before, but its implementation on the Ecosport could definitely use some polish. Instead of using a touchscreen with a few physical buttons below it, you’ve got a traditional display with a dozen buttons at your disposal. You’ve got the expected direction keys and “okay” button for basic navigation as well as radio, aux, CD and several other function buttons. Then there’s a number pad for some reason, as well as some Nokia-style keys, mirroring the persistent options on the screen once again. There’s a lot of redundancy here and I don’t think it’s a good idea at all. These keys could’ve largely been avoided with the addition of a touchscreen, with the basic navigation/Nokia-style keys being used as safer options while driving. But at least the presence of steering wheel keys is a welcome sight, allowing you to quickly skip tracks. There’s also voice control courtesy of a Microsoft Sam-like function. It’s not perfect though, experiencing notable delays at times (especially after pressing the voice-control button) and occasionally mishearing you. Cortana’s voice and some associated functionality would’ve perhaps been a better option here. Nevertheless, it played my music just fine off USB, although I didn’t get a chance to try FLAC files. Speaking of USB, the location isn’t bad either, being in the space under the handbrake but well away from the actual handbrake. The Ecosport Titanium is a bipolar car of sorts. On the one hand it gobbles up the open road but, on the other hand, it makes for a sluggish, juddery experience during the morning/afternoon commute. Nevertheless, the combination of fuel economy and great use of space (from the ability to drop seats for more space to the variety of little storage spaces) makes for a solid crossover vehicle. Just wait for the turbo to kick in though.